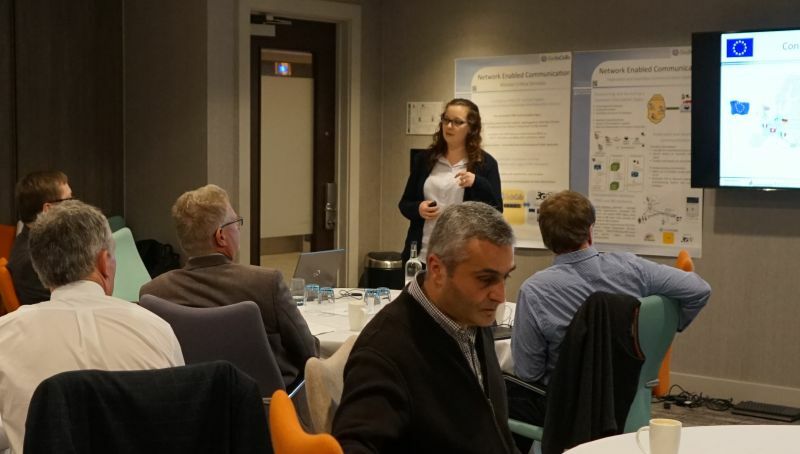 The SecInCoRe team organised a second workshop with invited experts from several European countries. The workshop was structured along current research questions (mainly regarding Concept of Operations, use cases and sustainability concepts for a ‘Common Information Space’ concept) and the refugee crisis being one of the main SecInCoRe case studies (cp. deliverable D2.1). A detailed report about this event will follow soon. SecInCoRe envisages an inventory of representative past disaster events. This inventory is documented in deliverable D2.1 entitled ‘Overview of disaster events, crisis management models and stakeholders’. After an early inventory of about 20 events we added two additional case studies: The Germanwings crash and the refugee crisis. The Germanwings crash was investigated in depth to understand Pan-European procedures and and structures engaging several organisations and authorities; the SecInCoRe team discussed ethical and legal issues based on this case study. In 2015 we added a case study based on the refugee crisis. Even though it is a complex crisis and does not comply to all charateristics of a disaster event, the team decided to include this study and dedicate specific efforts to this situation. See Deliverable page for details and download link. The SecInCoRe project had a successful representation at the 12th International Conference on Information Systems for Crisis Response and Management (ISCRAM) 2015 in Kristiansand, Norway. Monika Büscher (Lancaster University) acted as one of the paper chairs and co-chaired a track on Ethical Legal and Social Issues, Jens Pottebaum co-chaired the track on Human Centered Design and Evaluation. As an outstanding actviity of the project, Katrina Petersen and Monika Büscher (both Lancaster University) organised a workshop entitled Technology in Disaster Response and Management: Narratives of Ethical, Legal, and Social Issues to reflect outcomes of the SecInCoRe project (see our latest deliverables, especially in WP2 here).